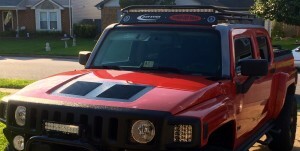 Hummer H3 Hood Louvers – They cool down the engine. . . and look great, too! Hot air rises — let it out. Police report underhood temp drop of 47 degrees! 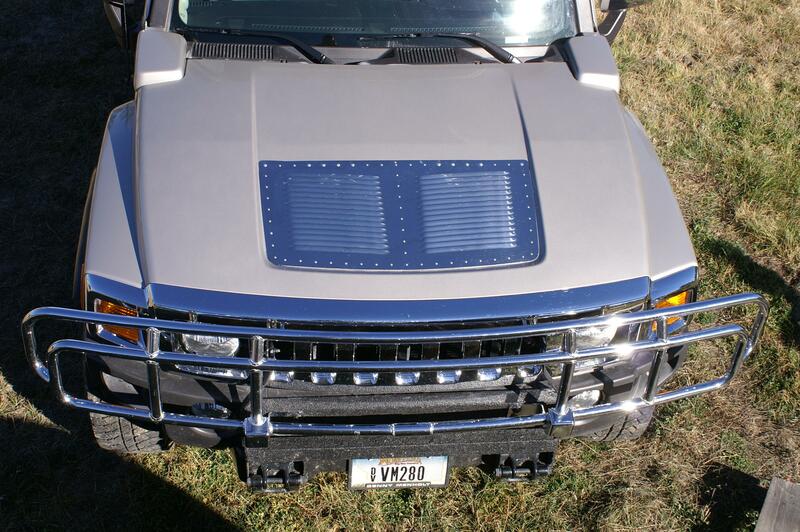 More efficient engine cooling — and cooler A/C! Used for years by the U.S. Border Patrol and Law Enforcement agencies across the country — so you know they work! Choose from Powder-Coated Black or White or Natural Aluminum. Come with pop rivets, drill bit and full home-install instructions. 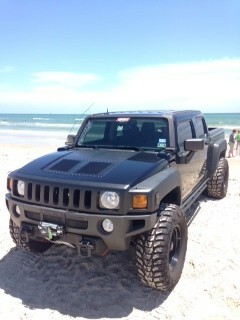 Size WideFlow™ on his H3. 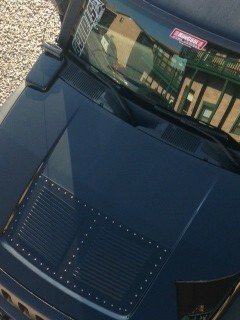 Note RunCool sticker above windshield.